The man on the moon is bored. One day, he hitches a ride to Earth on the tails of a passing comet – an “attack from outer space” that sets the alarm bells ringing in the President’s headquarters – and starts to explore the fantastical creatures and sights of a new planet. 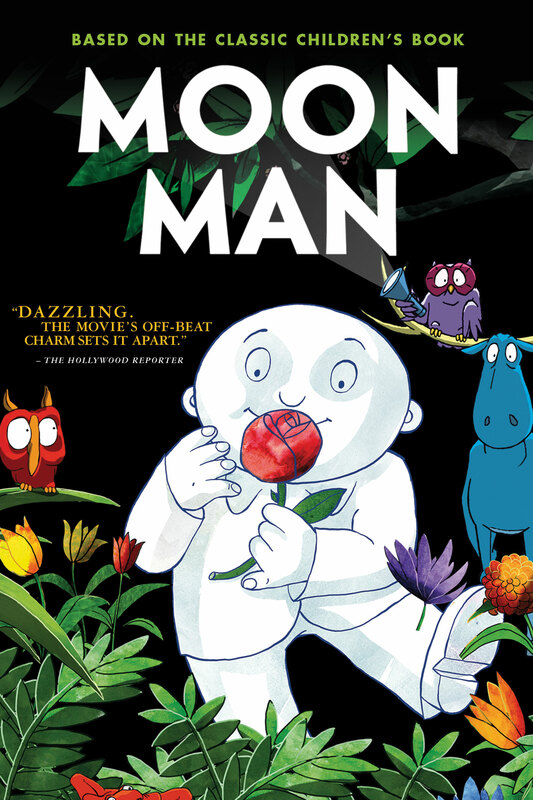 But all is not well – the Moon Man’s absence from his post means that all the world’s children are unable to sleep. Before the President can capture him, they must join forces to return him to his rightful place in the sky. © 2012 Schesch Filmkreation / Le Pacte / Cartoon Saloon. Art and Design ©2014 Cinedigm Entertainment Corp. All Rights Reserved. Marketed and distributed in the U.S. by Cinedigm Entertainment. $26.95 DVD Single. On backorder. Will ship when available.